We are so excited for this amazing news from Walt Disney World. 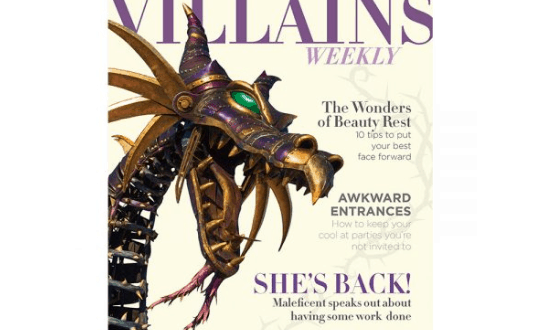 Disney Parks Blog shared the cover of “Villains Weekly” where we learned that Maleficent is finally returning to Magic Kingdom Park. Her float will be rejoining the Festival of Fantasy Parade at the park within Walt Disney World. The float was pulled from the parade months ago after it caught on fire during one of the parade performances. There were many different guest videos shared across the internet of one of most popular floats catching fire. We were all sad when the float was removed from the parade, but it looks like she is back in action! 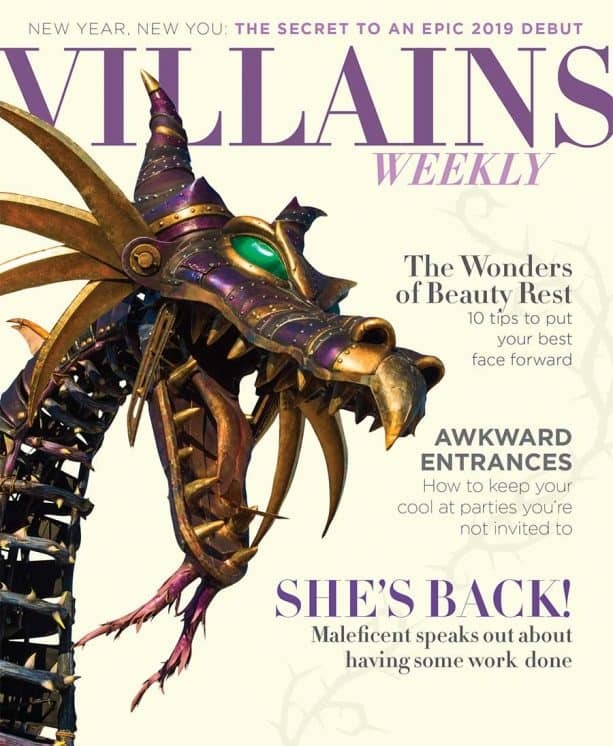 While she still has her same Steampunk style and signature wicked smile, the Maleficent dragon will be sporting a refreshed look, enhanced with new features designed to keep her in check while on show. Who else can’t wait to check her out in person at the parade?